What constitutes success? For many actors it’s a difficult thing to quantify. 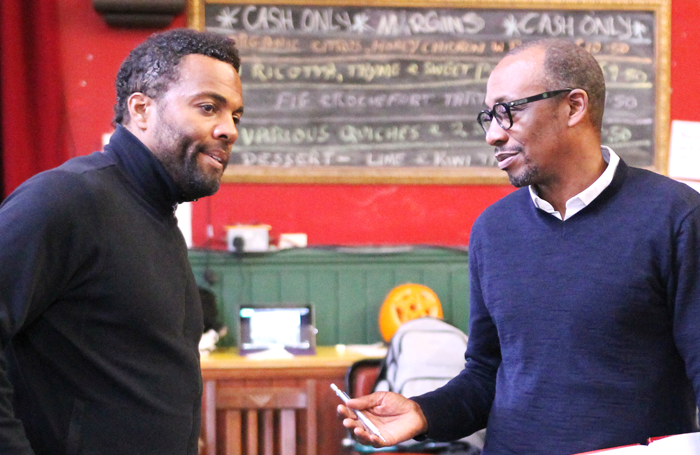 But for Ray Fearon, whose theatre career spans three decades, the answer to whether he considers himself successful is clear cut. A good living is perhaps an understatement. As one of the youngest of 10 children, Fearon was born to Jamaican parents in north-west London. At school, Fearon readily admits acting wasn’t his ‘thing’ – that would be tennis. He played tournaments as a junior with “a coach and all that stuff”, but soon found himself getting more into acting before eventually setting up a small theatre company with his brothers and friends. “We used to tour plays around the borough. The councils [and] leisure services used to pay us to go to venues for two or three nights, and we’d hire lights and hire a director ourselves.” Despite his mother’s hopes that he would grow to be either an accountant or work at Heathrow Airport, the actor instead chose to go to drama school. He eventually left Rose Bruford College just before his final third-year showcase, because he had been offered a job. Fearon has not stopped working since, and is probably most recognisable for his two years on Coronation Street, a well-received turn on Strictly Come Dancing, and a lead role as Macbeth at Shakespeare’s Globe in London last year. It is perhaps his multiple roles at the Royal Shakespeare Company that have been the most impressive. 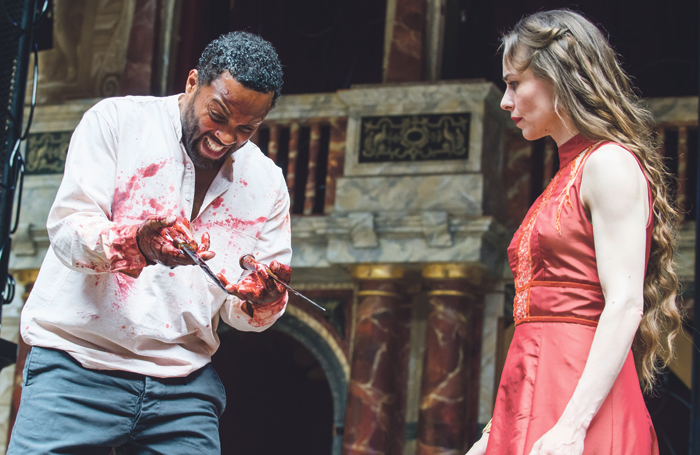 Fearon has done “countless” Shakespeare plays over the course of his career, and while he claims not to have a fixed favourite, it was his Othello in Stratford in 1999 that hit the headlines. 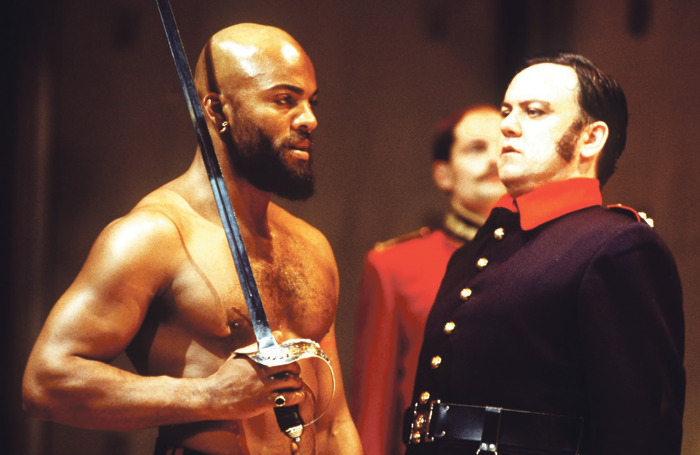 Fearon was the first black actor to play Othello on the RSC’s main stage and the role is deemed a turning point away from the days actors playing Othello would black up. That agent is Pippa Markham, who spotted him in his final year at drama school and has represented him ever since. Fearon’s approach towards talking about his acting is as straightforward as his attitude seems to be about everything else. He answers each question in two parts: at first simply and directly, and then elaborating with a series of asides and add-ons to the original point. Mentioning his agent leads to the tale of how he met Markham when she judged the Carleton Hobbs Awards while he was training at Rose Bruford – an award he won. He chose to apply to the school because he admired alumnus Gary Oldman, and because of Fearon’s brief time at the Royal Court Theatre as a teenager with Oldman, as well as with Caryl Churchill and Alfred Molina. “I was part of the Royal Court youth theatre, and the Tricycle youth theatre. The Royal Court was auditioning for Serious Money. They called me in, and I got a part in it. It was Max Stafford-Clark directing, with Gary Oldman, Alfred Molina, Meera Syal and Lesley Manville.” For a first professional job, few could have asked for better. However, in the end, he left the production. Fearon is a natural storyteller and delights in explaining the hows and the whys, as well as the whats. The stories almost tumble out of him, and his new role as Nathan Detroit in Guys and Dolls makes more sense the longer he speaks. Fearon is playing Nathan Detroit, the good-hearted but scheming gambler at the centre of Frank Loesser’s 1950s musical, at the Manchester Royal Exchange this winter. Meeting Fearon in an upstairs rehearsal room, he greets me with a firm handshake before discussing his first musical role. Rehearsals have been going well, he says, although it isn’t easy putting together “the different strands. There’s music, choreography and the actual acting, and how you amalgamate the three of them”. Buffong, the artistic director of innovative, black-led touring theatre company Talawa, has similarly good words to say about working with Fearon. They worked together, also in Manchester, on the director’s lauded production of A Raisin in the Sun in 2010. “We had a great time,” Buffong says, “just an understanding”. But why do they work so well with each other? “I don’t know if I can put my finger on it. It’s just a kind of shorthand we have, possibly a way of seeing things. I think we’re very into our characters, what they look like, what they may represent. I think that’s very important. What was your first non-theatre job? When I was 16 I worked as a maintenance person in Neasden. I used to go and paint things and clip hedges. What was your first theatre job? It was with the theatre company I set up [as a teenager]. We did some plays in Stonebridge and the councils [and] leisure services used to pay us to go to venues for two or three nights. What do you wish someone had told you when you were starting out? Someone advised me to train, and I did. If a young actor asked me for advice, that’s the advice I would give them. Who or what was your biggest influence? I used to go to theatre quite a lot, and saw the greats: Gary Oldman, Mark Rylance. But it was the women, the actresses that used to really get to me. Lesley Manville, Imelda Staunton, Mona Hammond, so many. There are a lot of young guys now, too, like Anthony Welsh and Ashley Walters. What’s your best advice for auditions? Professionalism. If you hadn’t been an actor, what would you have been? I have no idea. When I was younger I had an interest in business, so business consultancy I suppose. Maybe working with kids, my brother and sister work with kids quite a lot. Do you have any theatrical superstitions or rituals? I love quietness backstage. I love to be in silence. Rituals? Not really. I just make sure that I’m ready, that I’ve done a voice warm-up, that I’ve done all the things I need to do to prepare to go on and do a performance. I used to sometimes, depending on the part I was playing, pick up and carry my dad’s gravestones, these blue crystals he has on his grave. Just to remind me that he’s still there. The news Buffong would be taking on a musical like Guys and Dolls with a large cast of black performers was met with much approval from those championing more diverse and representative theatre. Gratitude is a sentiment that has come up often during the interview. Fearon has a way of making his gratitude seem obvious. Of course he is thankful for his success. How could he not be? “I’m grateful that things have happened for me in that way,” he says. Fearon leaves the interview with a certain polite abruptness – it is clear he is not the type of man, or the type of actor, to waste time. However, 15 minutes later he rushes back, and asks if we could go back on the record. Earlier, he explains, he spoke of who his inspirations were, and in hindsight realised his list had fewer young actors – particularly young black male actors like he once was – than he’d like. 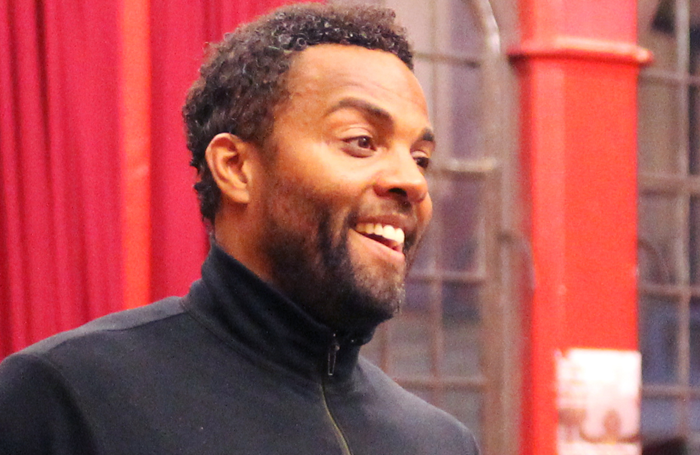 He mentions Anthony Welsh and Ashley Walters as people he has “loved” working with in the past, as well as fellow RSC actor Sope Dirisu, among many others. Fearon might recognise the role luck plays in an actor’s career, but he is also someone who respects hard work, and seems committed to helping bring a platform to performers he has seen are as committed as he is.